Mack, who helped lead the Seattle Seawolves to the Major League Rugby title last year, is one of six nominees for Male Sports Star of the Year. Mack, a member of Toquaht Nation on Vancouver Island, first started playing the game in the 10th grade in Victoria. He took to it immediately, and a few years later, he was playing on the Canadian U-19 national team. Mack, 5 feet 7 and 170 pounds, is a scrumhalf, a position that links a team’s forwards and backs. Scrumhalfs tend to be smaller than most players, very athletic and leaders on the field. They are like the point guard on a basketball team and the quarterback on a football team. Mack has always been driven to promote his sport. Five years ago, he and two friends formed Thunder Rugby, a youth program in British Columbia aimed at growing the game in Aboriginal communities. Mack coached the program for a few years and is still in close contact with the program but had to quit when the opportunity arose to join the Seawolves last year as a player and assistant coach. It was another chance for him to help expand the game, this time in a new country, but in a place so close to Victoria. 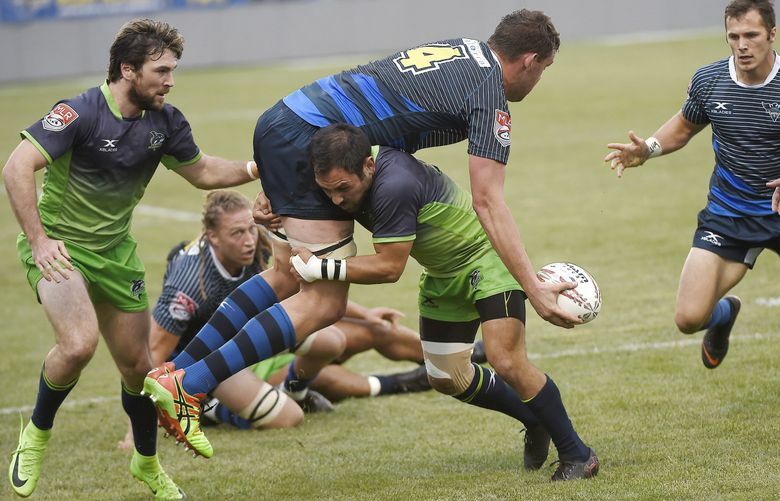 Mack, who will maintain the dual role as player and assistant coach for the Seawolves, said the team is capable of successfully defending its MLR title. The Seawolves are 1-1 this season after losing their last game, on the road at San Diego.